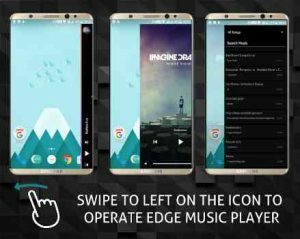 S9 Edge Music Player : The most lightweight complete music player in the play store, which has two modes of running. 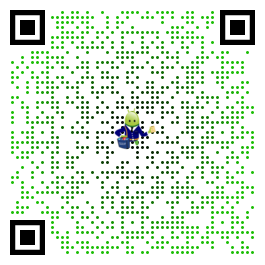 The graphical brilliance has been brought into the application. You can search 1000’s videos with edge player and also recommendations when you search for a local song. With adding Vidtalk plugin , you will be able to hear music from youtube with your edge player. Swipe on your screen anytime to witness the brilliance of the s9 music player. One doesn’t need to open the application to listen to songs, a single swipe on the screen will summon the s9 edge music player. 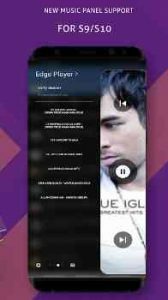 Edge player had the latest features and packed with efficient algorithms to make the music play as efficient, it optimizes the battery performance to make best use case. High-res music playback with lyrics search. Create, edit and delete the playlist. Songs are also displayed based on genre, artist, and album. Auto Download artist and album images from the last fm. Send songs from the app to any person in any part of the world with the help of AIR SEND(SEND ANYWHERE API). Use sleep timer and set the time when you need your music playback to stop automatically. Ringtone cutter:Cut, Trim your music and set them as your ringtones. Sort your songs based on alphabets, artist, and album. Choose gradient Themes from over a collection 10 gradient themes. First color changing interface, which keeps changing its color based on the song. Auto change of skin from Day mode with the light theme to Night mode with the dark theme, which hurts the eyes less in dark. Add’s a vibrant look to your EDGE. High-quality equalizer with a lot of presets. Multiple languages: GERMAN LANGUAGE, SPANISH LANGUAGE, TURKISH LANGUAGE, RUSSIAN LANGUAGE. 1. RECORD_AUDIO : This permission is required to show the visualizer according to the music(We does not use it for anything else). 3. SYSTEM_ALERT_WINDOW : This permission is required to show the Music Edge. The app is made to suit the infinity display in the galaxy s9 and it can also create the effect of infinity display in many devices. Galaxy s9 doesn’t come with a default music player ,we are here to fill that need. By the name and looks of it ,don’t ever think it is only for the samsung galaxy s9 or galaxy s9 plus.It is made for all devices with love and dedication. The infinity display in galaxy s8 and galaxy s9 gives you the best look for the music player. Galaxy s7 edge and Note 8 edge wide edge gives a vibrant look. The music player can be used with any devices, Special care has been taken for the Samsung devices to make equalizer accessible so that Galaxy S8 ,Galaxy S9 and Galaxy S7 has no problem playing songs. Moto, Huawei, Oppo, Vivo, OnePlus, Xiaomi, Lenovo, LG, HTC, SONY devices also support the music player, The music player runs very smoothly in most of the models. Give all the required permission in Galaxy s8 and Galaxy s9 and moto devices for edge player to work properly. I like the S9Edge Music Player, just for the fact that its simple straight forward & it works great for what i use it for, you know listening to music. Hard to find all this for free. Suberb listing song in this music app. Better experience.